From subliminal imagery to throwaway lines of dialogue that have deeper implications, Christopher Nolan loves a good easter egg. Christopher Nolan loves a good easter egg. Whether it’s a sly bit of casting, the use of subliminal imagery, or a line of dialogue with deeper implications then you may realize, Nolan often hides clues and secret messages in his films that are just waiting to be discovered. Of course the internet has devoted a ton of time searching for Nolan’s best easter eggs over the years, and we’ve rounded up 7 of the best hidden gems to look for in his filmography. Nolan is currently riding high off the success of “Dunkirk,” his WWII drama that exceeded expectations at the box office by opening to $50.5 million this weekend. The film should enjoy a healthy run thanks to strong word of mouth and critical acclaim. IndieWire named “Dunkirk” the best movie of Christopher Nolan’s career last week. Fortunately, even Nolan’s war movie has a great little easter egg in it. Star getting familiar with Nolan’s best easter eggs below, and make sure to re-watch his movies and see if you can spot them. One of the most well known easter eggs in Nolan’s entire filmography is also one of the absolute coolest. The characters in “Inception” play Edith Piaf’s “Non, Je Ne Regrette Rien” to signal a “kick” to another layer of the subconscious, and composer Hans Zimmer took that plot element to heart when making the film’s original score. All of the music in “Inception” is built from subdivisions and multiplications of the tempo of “Non, Je Ne Regrette Rien.” Zimmer pulled specific notes from the track and built on them to create the score, meaning Edith Piaf’s is not just integral to the movie’s storyline but also to the DNA of the movie’s music. Michael Caine has appeared in six consecutive Christopher Nolan movies: “Batman Begins,” “The Prestige,” “The Dark Knight,” “Inception,” “The Dark Knight Rises,” and “Interstellar.” When the cast was announced for “Dunkirk,” however, the omission of Caine’s name from the acting roster was a big disappointment for Nolan purists. Surely Caine could’ve taken on some kind of role. Fear not, for Caine actually is in “Dunkirk” after all. He makes an uncredited voice cameo as the officer speaking to Tom Hardy’s Royal Air Force pilot. Caine only has a few lines of dialogue, but his tiny cameo is proof no Nolan movie is complete without him. Joseph Gordon-Levitt’s character in “The Dark Knight Rises” is never overtly seen as Batman’s sidekick Robin, but it’s fairly obvious it’s the role Nolan designed for him to fill. Not only does he pick up the crime-fighting mantle at the end of the picture, but his legal name is literally Robin John Blake. Easter eggs hidden in the football stadium scene also serve to remind the audience of Robin. The football player that appears on screen is Hines Ward, who shares the same last name as the actor (Burt Ward) who played Robin in the 1960s “Batman” television series. A blink-and-you’ll-miss-it shot shows fans holding up signs to spell the team name Rogue. The “R” is stylized in the same exact way as the “R” on the suit of Tim Drake, the third Robin. 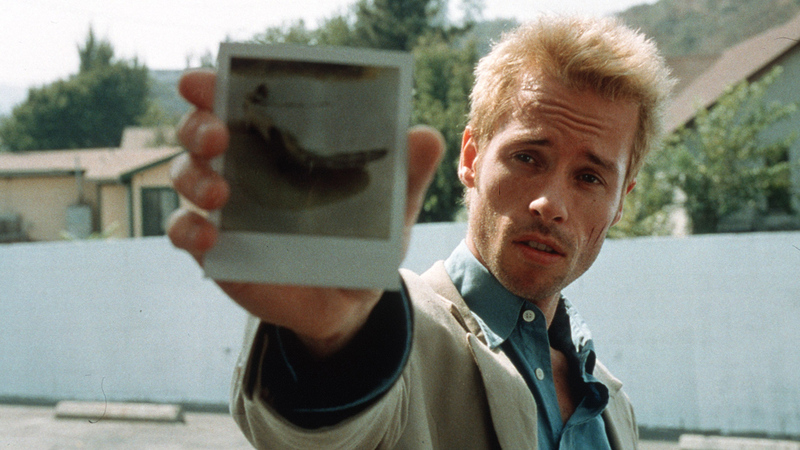 Long before the twist in “Memento” is revealed, Christopher Nolan actually spoils it himself. The scene in question finds Leonard (Guy Pearce) telling the story of Sammy (Stephen Tobolowsky) in the insane asylum after he’s killed his wife. The camera makes its way towards Sammy, who appears paranoid by all the doctors and nurses passing by him. One doctor passes by Sammy and Nolan cuts the scene back to Leonard talking on the phone less than half a second later. If you watch very closely and/or pause, you’ll notice that in the millisecond between the doctor passing and Nolan cutting, Sammy has actually been replaced by Leanord, spoiling the twist that the two are one in the same and Leonard is responsible for his wife’s death. If you’re not examining every inch of the frame when watching “The Dark Knight Rises,” you may miss Bane in the corner of the court room scene knitting. Yes, that’s right, Gotham’s most radical terrorist who loves to break backs and mumble has a soft spot for knitting. Nolan wasn’t intending to make Bane seem less evil here; instead, the visual is an illusion to one of Nolan’s biggest influences for the character: Madame Defarge in Charles Dickens’ “A Tale of Two Cities.” Defarge is the novel’s revenge-seeking antagonist who knits the names of those she wants to kill. So yeah, this knitting is far from the kind your grandparent does for a nice hobby. The bookshelf might be the most important thing in all of Nolan’s sprawling space adventure “Interstellar.” The young Murph (Mackenzie Foy) is convinced early in the film that the books falling off her shelf are a message from “ghosts” that must be decoded. 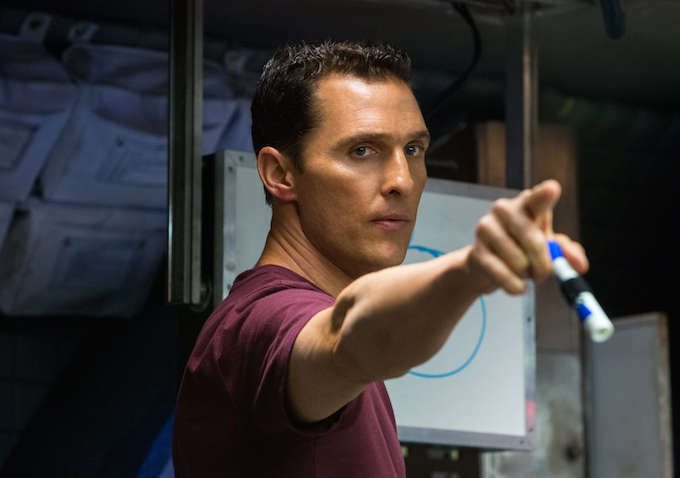 We later find out it’s actually Murph’s father, Cooper (Matthew McConaughey), communicating with her from inside a wormhole. The books are actually easter eggs with which Nolan subliminally gets across some of the movie’s themes and connections. Books include Iain Banks’ “The Wasp Factory” (about a father and child living in isolation), T.S. Eliot’s “Selected Poems” (a meditation on concepts involving time and space), and Madeleine L’Engle’s “A Wrinkle in Time,” which Nolan says first introduced him to the idea of a higher dimension. A seemingly throwaway scene in “Interstellar” finds John Lithgow’s father-in-law Donald picking on young Murph for eating popcorn instead of a hot dog. “Popcorn at a ball game is unnatural,” he says. “I want a hot dog.” It’s a line of dialogue that is actually an easter egg most people would hardly ever be able to notice. The line harkens back to Lithgow appearance in another cosmic space adventure: “2010: The Year We Make Contact,” the 1984 sequel to Stanley Kubrick’s “2001: A Space Odyssey.” Lithgow plays Dr. Walter Curnow, American engineer who also adores hot dogs. Weird coincidence or international callback? We’re thinking the latter.